Are you a rookie in the field of digital marketing? The massive amount of terminology may seem daunting when you’re first starting off. This is why I have compiled a list of terminology used in the vast world of digital marketing, each accompanied by a link that will help you better understand the term. Here is a list of 92 terms used daily in the expansive world of digital marketing! Paid Media – Forms of advertising such as pay per click, display ads, retargeting, etc. 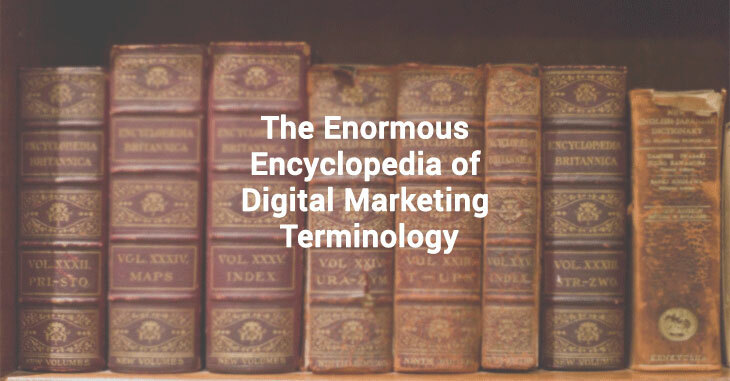 I hope this massive list of 92 digital marketing terms comes in handy. It would probably be a good idea to bookmark this page and use it as reference! I do have a greater chance at familiarizing myself with the amazing encyclopaedic terms, being a willing student of technology. I’m having quite a good grasp of what you have put in your list. You have somehow narrowed down my search of these termsfor my online marketing information. I have bookmarked your page. I’m so glad. This is one of my most informative learning tool I’ve added into my Learning Toolbox! And euphoric that you’ve found our Grey Hat SEO techniques piece interesting! It’s useful terminology for any beginner. Thanks Celine, congrats for compiling this list. Great Job! A website such a sTechWyse takes me through difficulties understanding technical terms and internet jargon. I thought I could coast through every wealth of tutorials and information about technology available here. But I’m glad to be learning so much. I think I’m quite self-taught, and your site is very useful to my education. How does an effective search engine optimization require analytics? What parlance has the effectiveness to do with investments in internet marketing? Are there keyword strategies and usability in the digital market? This is where I am at since i’ve engaged in online marketing. Those terms above are very useful. Still learning. Thank you. Thank you so much for posting all of these information’s. It is very hepful. This is quite comprehensive list of SEO terms, especially with Anant’s additions. I believe that a key here is to have a level of understanding about these terms so that you can understand a conversation with a specialist or expert and let that specialist or expert do the bulk of the work. Furthermore, an understanding of these terms allows you to not be taken advantage of by a specialist or expert. Thanks for your feedback Abraham! Deep analysis and create such useful resource for all digital marketing terms. You have include A to Z terms in your post but i found that you missed below 2 terms. Keyword Proximity:- It refers to the distance between the search term’s individual keywords. Keyword Prominence:- It means, your keywords should be at prominent area in content of your web pages. Hope it will aslo help to users. Thank you Anant! Those are definitely two useful terms to add to the list.